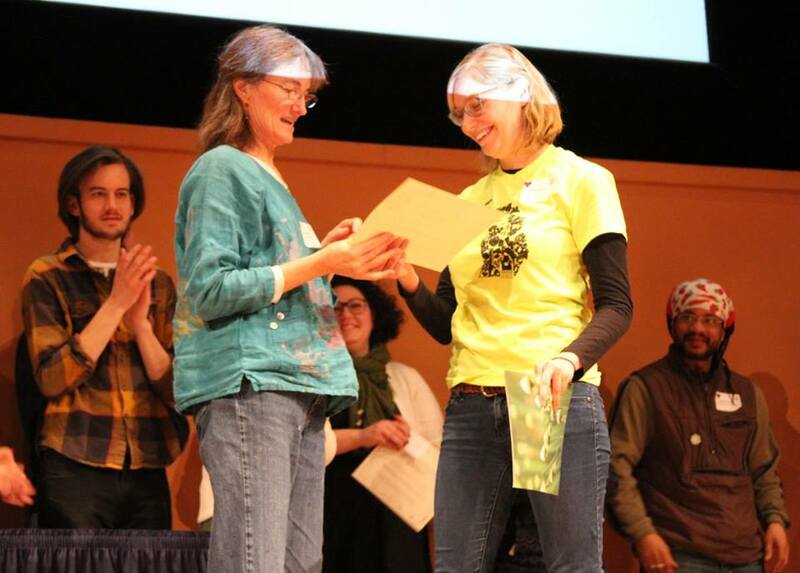 Lise Anderson, board member, accepts a Local Food Victory award on behalf of The Agrarian Adventure at the 7th annual HomeGrown Local Food Summit! Thanks to this community for 10 years of Agrarian Adventures with Ann Arbor Public Schools. Those are not halos on our heads! Previous Previous post: The 2014 Annual Report is Here!